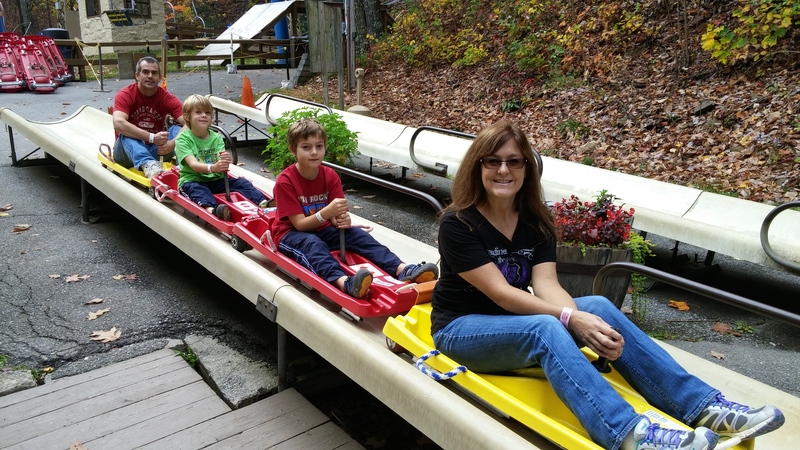 One of the items on my bucket list of things to do while we’re traveling was to take the kids to an alpine slide. 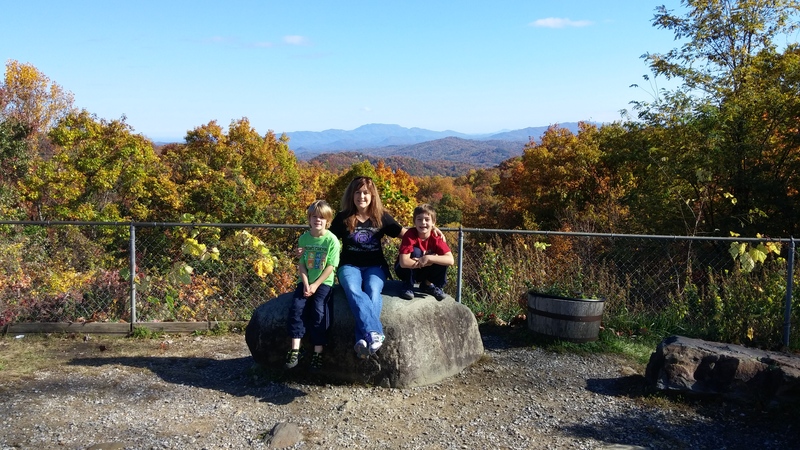 I remember my parents taking me to those in New England when I was a kid and I knew my kids would just love it. 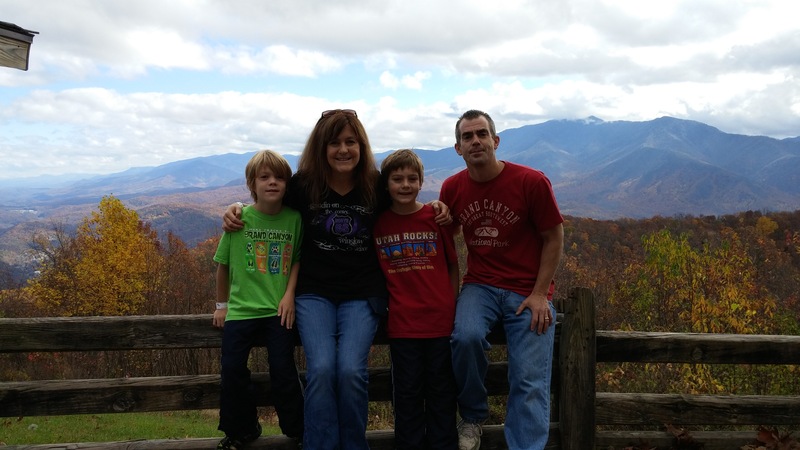 So while in Gatlinburg we visited the Ober Gatlinburg Ski Resort. 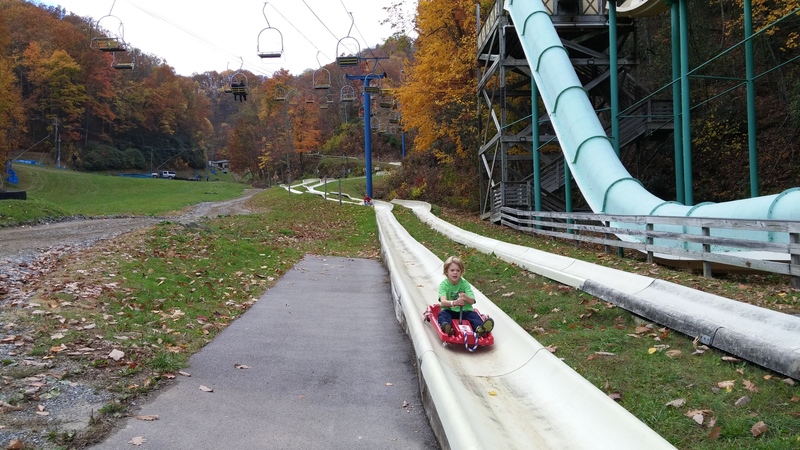 During non-ski season the resort has all kinds of other fun activities to do like an indoor ice skating rink, mini golf, scenic gondola rides, water slides (summer only), and our favorite — alpine slides! 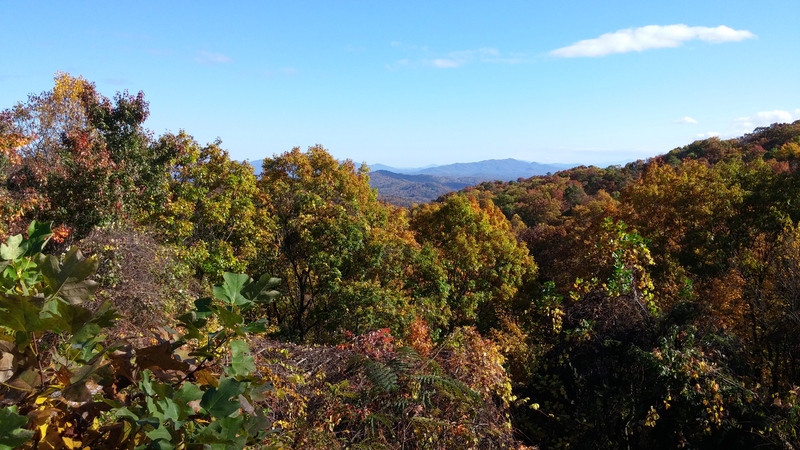 The beautiful fall colors were an added bonus. 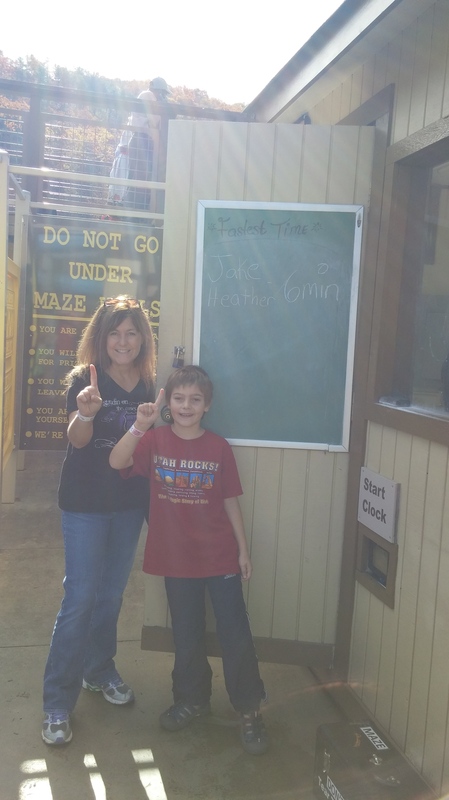 The alpine slide was not open first thing in the morning because they had to clean the rain and leaves off the slides, so we started the day with a maze where Chris & Jesse teamed up against Jake & me and Jake and I won! We had the fastest time of the day recorded on the board, but that didn’t last long. 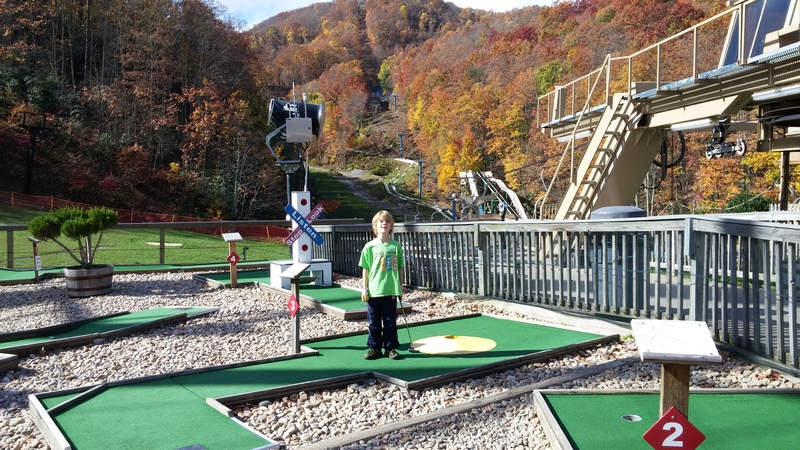 Then we played Jesse’s favorite game, mini golf. 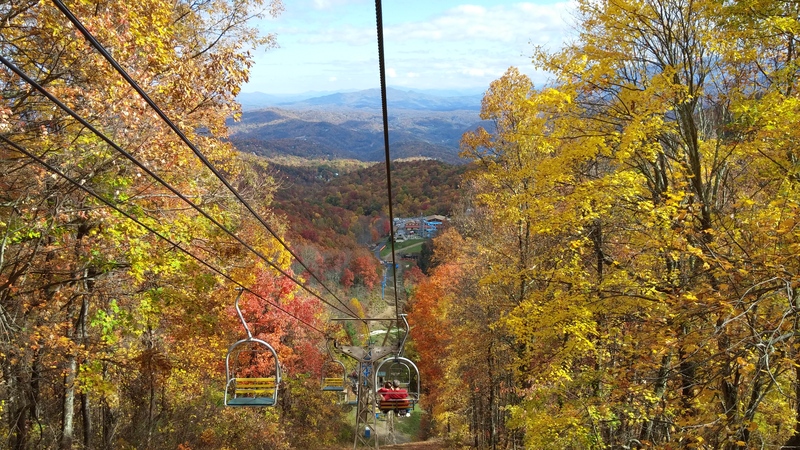 The slides were still not open so we rode the scenic chair lift to the top of the mountain. 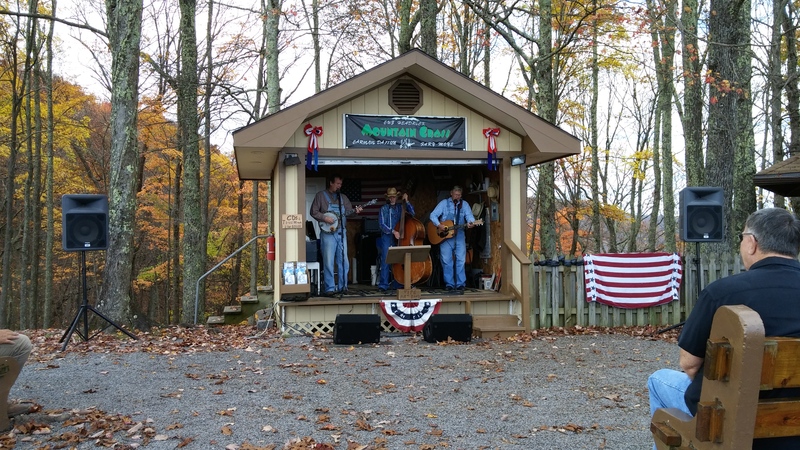 There was a band playing all day at the top of the mountain. I would have liked to have stayed up there longer and listened to them, but my kids are just not into listening to bands yet. 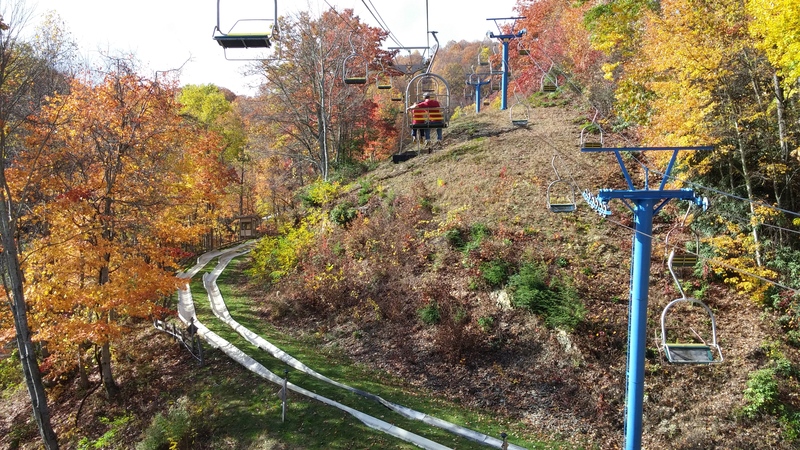 This is the view going back down the chair lift. By this time the slides were finally open. Yay! 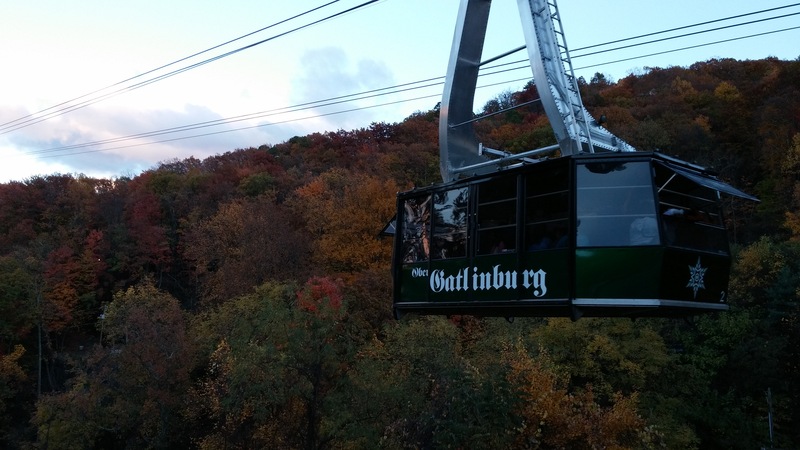 At Ober Gatlinburg you can either buy individual attraction tickets if you only plan to ride something once or twice, or you can buy a pass for unlimited rides for the whole day. 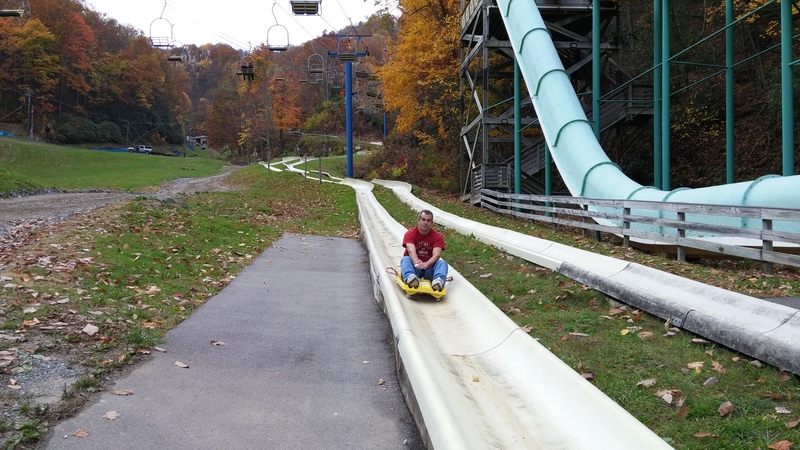 This was the best option for us because we rode the alpine slide so many times that day I lost count. We took a day off work and went mid-week and it was not crowded at all. 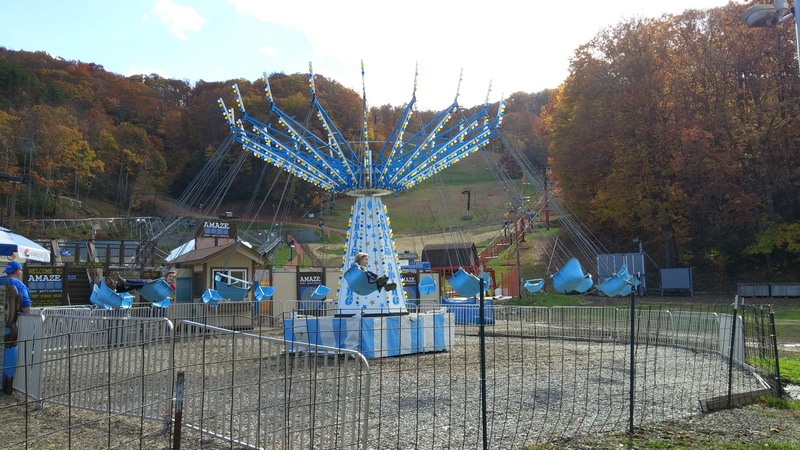 The people working the chair lift and slide got to know us really well by the end of the day. They were some of the nicest and most friendly people. Every employee at this place was so nice! Another ride the kids loved was the swings. There were a couple of other attractions that we did not do. They had a new mountain roller coaster that looked really fun, but since it was not included in the unlimited ride pass we skipped it. I think it was $15 per person to ride that which I think is just way too expensive for one ride, especially when you multiply that by 4 of us. The scenic gondola was also too expensive per person so we skipped that too. 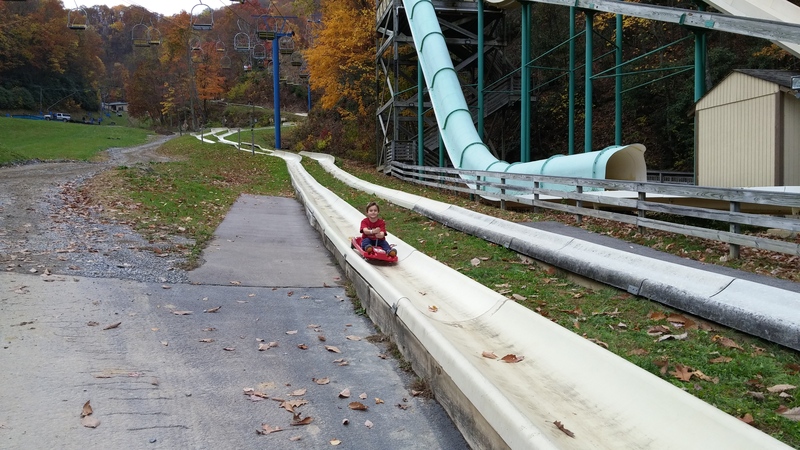 Regardless, there was plenty for us to do with the unlimited ride pass and we enjoyed our day at Ober Gatlinburg so much! If you are ever in this area, I would highly recommend it.